A gorgeous Lemon Tart with a buttery, rich Macadamia Nut Crust. Decorate the top of this pretty tart with some homemade Whipped Cream. Don’t forget to make your own Lemon Curd! This is what I had in mind when I made homemade lemon curd. The crust is so irresistable. If you follow me on instagram, you may have seen this crust. All broken and nibbled on. My first attempt at making the crust I removed it from my tart pan too early. And if fell apart. But it didn’t go to waste. We nibbled on that tart crust all day long. Okay, *I* nibbled on it. It tastes like a delicious macadamia shortbread cookie. So after making it again, I filled it with my batch of homemade lemon curd. Which if you remember me saying yesterday is so EASY to make! Like, seriously people. I don’t mind if you buy Oreos. Chip’s Ahoy. Cherry Pie Filling. But PLEASE, make your own lemon curd. You can do it in 10 minutes! I wish I had known how easy it was to make. AND oh how delicious it is to eat! Anyways…back to the tart. I certainly couldn’t serve up this delicious homemade lemon tart with store bought whipped cream, so I made a quick batch of that too! Of course, like everything I do, I tend to make more than I need of things. This whipped cream made a little bit too much. I could have put flowers all of the tart, but I wanted to showcase the lemon, not the cream. So here’s what I do when I make too much whipped cream. Take your leftover cream and spread it on a baking sheet (with a 1 inch rim). It’s okay if it doesn’t go all the way to the end, just try to keep it about 1/2-3/4 inch thick. Freeze for 4 hours or overnight. Then using a small cookie cutter, cut shapes out of your whipped cream and put it into a ziploc bag. Now you have cute little whipped cream shapes to top your next cup of cocoa! (Here’s a picture and recipe of some peppermint whipped cream hearts I made a couple years ago). So there you have it. Homemade Lemon Curd. Delicious Macadamia Cookie Crust. Whipped Cream. What are you waiting for? Go make this!! This tart reminds me of another favorite tart recipe of mine. 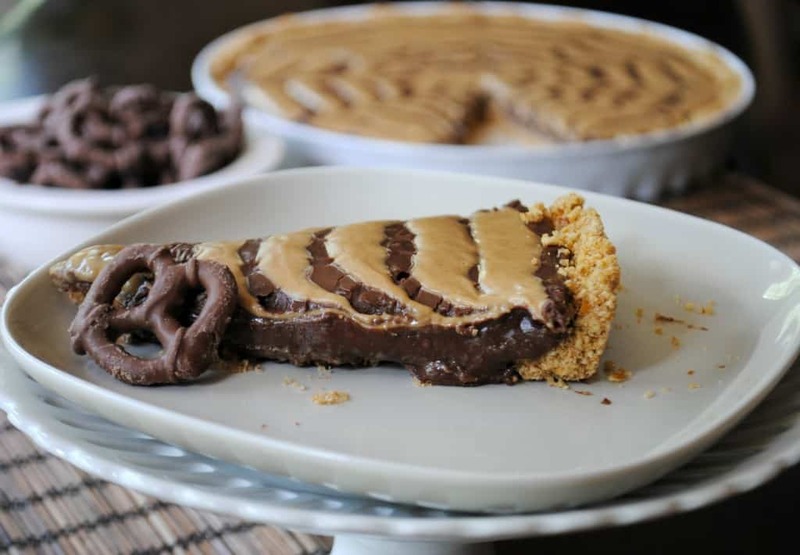 Peanut Butter Nutella Pretzel Tart…no words necessary! 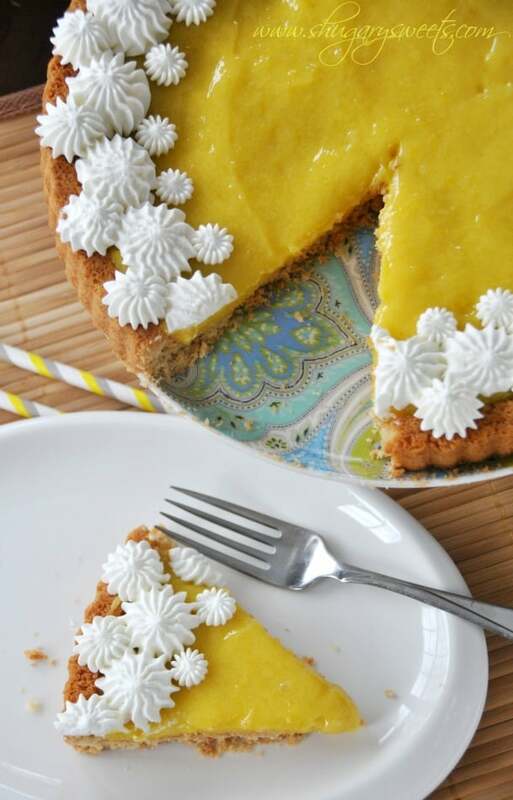 A gorgeous Lemon Tart with a buttery, rich Macadamia Nut Crust. Decorate the top of this pretty tart with some homemade Whipped Cream. Don't forget to make your own Lemon Curd! In a food processor, pulse brown sugar, nuts and granulated sugar until finely crushed. Add flour and salt and pulse to combine. Add butter, one tablespoon at a time. Should form a sticky dough. Press dough into bottom of a 9inch tart pan. Bake in a 375 degree oven for 15-18 minutes. Remove from oven and cool on wire rack for 10 minutes. Remove from pan and cool completely. When cooled, fill tart with lemon curd. For the whipped cream, beat heave cream with vanilla sugar on high for 2-3 minutes until soft peaks form. Pipe onto tart. ENJOY. Totally easy Crystal. And delicious!! OMG I MUST make that crust. MUST. And the tart is so pretty Aimee! I’m seriously crushing on this tart. Haha, I knew you’d love the crust. AND the lemon!! Wish I could have made this for you for REAL! Oh man! You had me at lemon curd! And that crust – heavens! Gorgeous! Thanks Trish! The crust was definitely a key player in this tart!! You had me at macadamia crust! This tart looks so tropical which is exactly what I need in the middle of winter. Haha, I totally need tropical too! Your photos made me drool. For real. I need one of these tarts, stat. With the cold weather howling at the door, I need a bright sunshiny dessert to warm me up! Hello tropical tart! 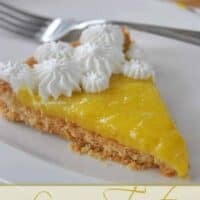 I am totally loving that crust with the yummy lemon curd topping!!! What a stunner! And the crust sounds totally tempting on its own. The crust is absolutely addicting. I can’t say it enough!! 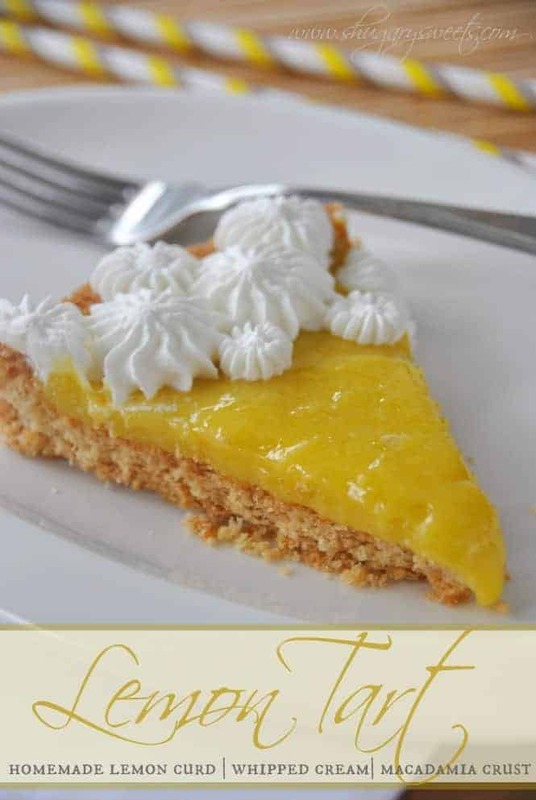 I don’t even like lemon desserts, and I am pretty sure I’m going to make this tomorrow! It’s mouthwatering to look at. Don’t like lemon? Oh my it’s one of my favorites. If you prefer orange or lime you can totally substitute those for the lemon. Holy heaven, that looks sunny, fresh, and delicious! 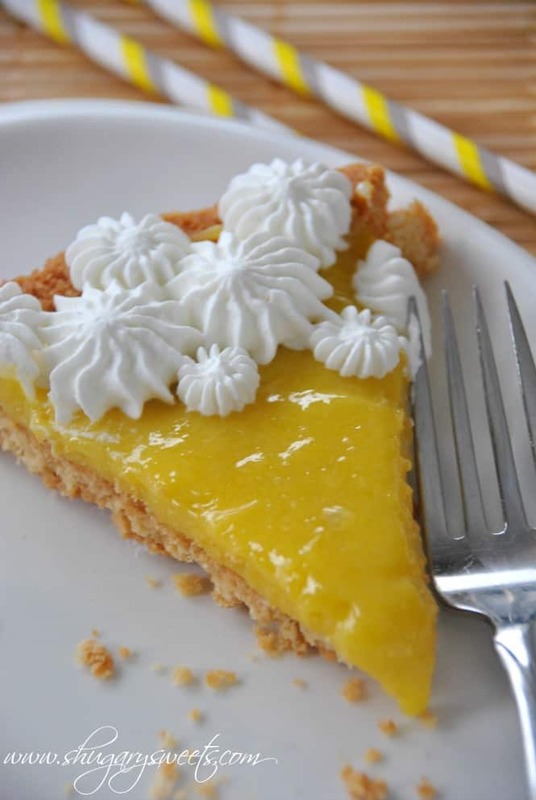 Your photos are gorgeous – I just love the whipped cream on that beautiful, yellow lemon curd. 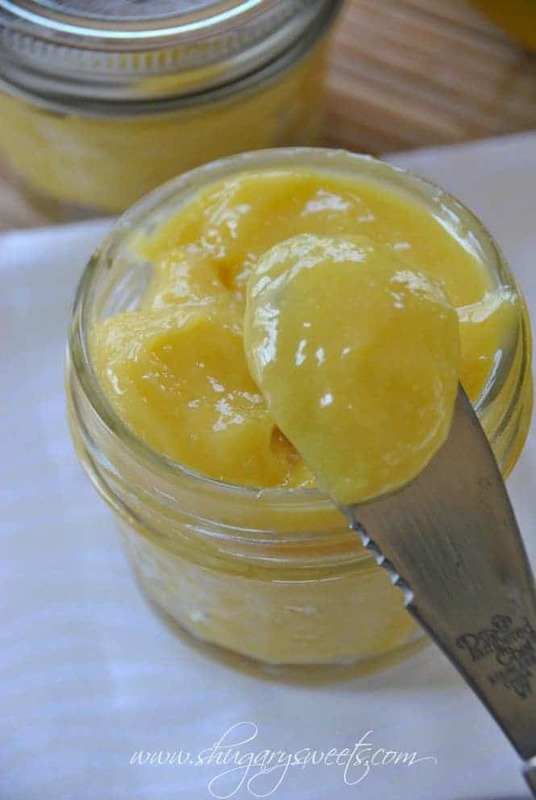 I agree, homemade lemon curd is a must and its easy! Thx for the leftover whipped cream tip. I always make too much, and my kids will sure love shaped whipped cream! You’re welcome Marcie. Aside from eating the whipped cream to get rid of it, the freezing trick is what we do!! Looks so nice and bright! Nicely done Aimee!! I’m off to buy some lemons! Yesssssss I knew when I saw the lemon curd recipe you were making it for some other tasty purpose. This looks amazing! Thanks Kelly. Although to be honest, I could have just eaten that lemon curd straight from the jar! I am in love with these photos, Aimee! Absolutely gorgeous! Oh my gosh I need to make that crust! We had a tart with macadamia nuts and caramel when we were on vacation a few years ago… it was sooo good. I’ve been meaning to try to re-create it at home forever! This looks gorgeous and so yummy! I knew you had something fabulous up your sleeve when I saw the lemon curd recipe yesterday. I am especially in love with this macadamia nut crust Aimee! Thanks Sally, the crust is to die for!!! Amazing! I could use a slice (or two) right now! And that crust – to die for! Actually I love lemon, but as I kid I remember having some lemon bars which were terrible, and then again the first time I met my mother in law she made some boxed lemon bars for dessert, so of course I had to eat one – blech!!! Ever since, I’ve steered clear of lemon desserts. Until now! I’ve got my ingredients ready to go! macadamia nut crust?! you SLAY me. 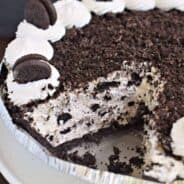 if i made this, it’d probably be one of the best pies/tarts ever!! omg, this looks and SOUNDS amazing! Awww thanks Julie!! If you love lemon curd, and macadamia nuts then you need this in your life. Love macadamia cookies, great idea to use it as a crust!! It sounds fantastic! I love anything lemon… and homemade lemon curd, OMG! Love it!! Thanks Meghan!! Homemade lemon curd is just so delicious. I’m a big fan now! Hello, can I use other type of nuts instead macadamia? Its very difficult to find it in Indonesia. Btw, its very very pretty tart and looks taste delicious also. I want to try it. Thanks for the great recipe and idea. You sure can. Almonds would be delicious!! Or almond/pecan mix would be great too! ENJOY! Thanks for the inspiration to make my own lemon curd. 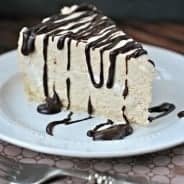 I need a good spring dessert for Easter dinner that I’m hosting. Any thoughts on whether or not this crust would work with gluten free flour? I absolutely adore this pairing (with macadamias/lemon)…Alas…ONE…I recently had a nut allergy testing and the only one to stay clear of’!…You guessed it…MACADAMIAS!…and TWO…Here in France they are virtually impossible to come by…. Question…could I possibly use pistachios here without damaging the integrity of your gorgeous offering?….Thanks so much for any insight! You can certainly try pistachios. That actually sounds quite lovely! It’s looks like so delicious. 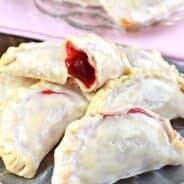 Great recipe, thanks for share.